With the Google plugin for Chrome you can schedule a join.me meeting directly in your calendar. 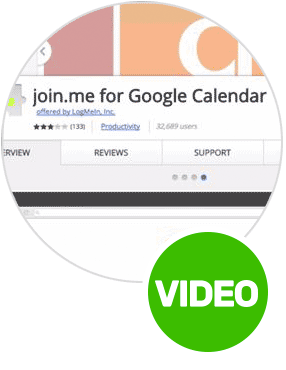 Watch the video for step-by-step instructions on how to schedule a meeting using Google Chrome. 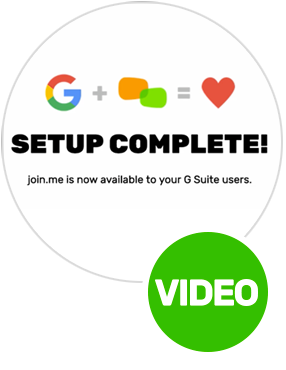 join.me now integrates seamlessly into your Google Chrome browser with the join.me browser add-on. Here’s how you can get it! 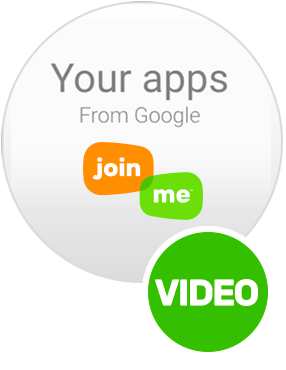 Start by navigating to join dot me slash apps in your browser Click the chrome add-on option The link will take you directly to the google chrome apps page where you can simply click ‘add to chrome’ to download. You can now add the extension to your Google Chrome Browser and sync join.me with your google calendar by selecting ‘connect to Google’. For more tips, visit join.me/resources.